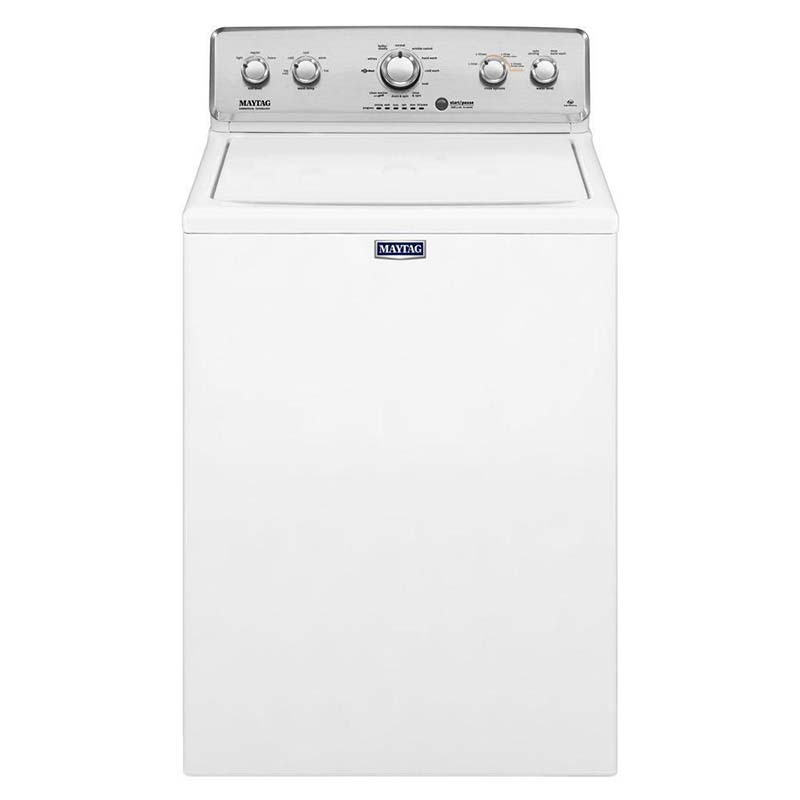 Tough stains are no match for the Maytag 4.2 Cu. Ft. High-Efficiency Top Load Washer. Its robust PowerWash cycle and PowerWash agitator rely on tactics such as extra wash action and extended wash time to evenly and thoroughly clean every load. This model also features a durable, stainless steel wash basket, Auto Sensing technology and a total of 11 wash cycles.